Luka Modrić, captain of Croatian football team, winner of Golden Ball for 2018. 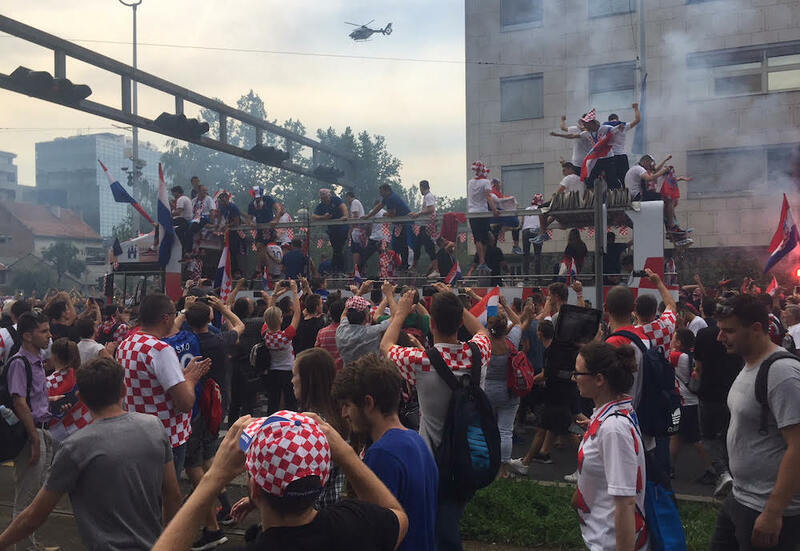 Croatia celebrates on of the greatest successes in its sports history - the second place at the FIFA World Cup Tournament in Moscow. We mention the deserving players: Mandžukić, Rebić, Modrić, Perišić, Rakitić, Brozović, Vrsaljko, Lovren, Vida, Strinić, and the deserving coach Dalić. We believe that the Croatian team has shown the most attractive football play during the World Cup tournament. It is no surprise that Luka Modrić has won the prestigious Golden Ball - Balon d'or. and the greatest entertainer of the Tournament. Concerning Luka Modrić, an interesting coincidence is that Paul L. Modrich of the Duke University won the 2015 Nobel Prize for Chemistry. Professor Paul Lawrence Modrich is of Croatian descent - his grandparents arrived to the USA from Croatia. The meaning of the word MODAR in Croatian is BLUE. For example, "modro nebo" means "blue sky". So Modrić is roughly a Blue Man. We suggest using full-screen mode. In the city of Zadar on the Croatian coast. especially from Croatian capital Zagreb.